“Breaking up is hard to do” crooned Neil Sedaka as he begged his love not to leave him in one of his most famous songs, but alas, we all know that relationships often come to an end. By contrast, management guru, Peter Drucker, was often quoted as saying “begin with the end in mind,” and even though it isn’t as romantic a sentiment, it is good advice whenever you enter into a new business relationship. Call it an exit strategy, a transition plan or a pre-nup – whatever the title, it’s best to begin by planning for the end which, in the case of business at least, will always eventually come. Whether due to contract completion or material breach, turning over responsibility to another party, or abandonment of the contracted activity altogether, contract termination is an inevitable phase in the third party relationship lifecycle. As many risks as there are in the active phase of a third party relationship, there are some that remain, and also new ones that arise when the relationship is ending. The more long term and layered the relationship, the more difficult it will be to disentangle. The deeper the third party is embedded in, and uses, the confidential information of the company and its customers, the greater the risks presented by failing to design a smooth transition process. Probably the most difficult transitions arise in the context of information technology contracts. 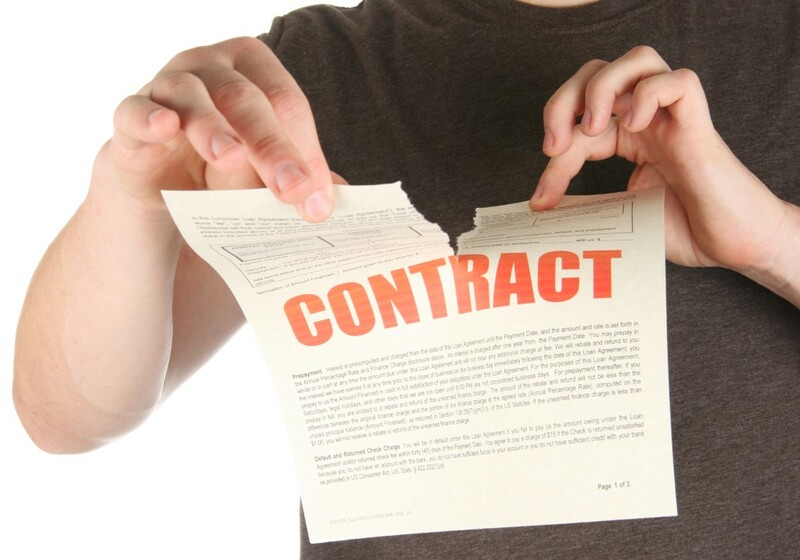 Just take a look at a one legal case that came about because there was lack of clarity in a master service agreement and you’ll begin to sweat as you wonder how well your own contract termination provisions protect you. Back in 2011, pharma giant Astra Zeneca announced it was terminating a contract with one of its major IT outsource partners, IBM, for cause. Reportedly, Astra Zeneca was dissatisfied with the services that included server and storage hosting, desktop management, network maintenance and management and help desk support for AstraZeneca’s 61,000 employees in 60 countries. Despite having a very long and detailed contract, it turned out that the key term “shared infrastructure” was not clearly defined, leaving the court to conclude that it included equipment, systems, and facilities at IBM’s shared data centers worldwide, and requiring IBM to provide more services during the agreed upon termination term than it believed it had agreed to extend for a fixed price. While Astra Zeneca won this dispute, just think about the stress caused by not knowing for sure that it could continue to serve its customers well during the contract transition to another provider if the decision had come down the other way; not to mention the cost of the litigation. The risk of business interruption is important but it is not the only issue to be addressed in a termination plan. The risk of cybersecurity breaches must be addressed by having clear procedures and requirements for data retention or destruction, termination of access control for shared technology, and removal of system connectedness including consideration of what fourth parties (your third party’s third parties) may have. Competitiveness and corporate value must be protected by clearly designating the disposition of shared intellectual property and infrastructure assets. Smooth transition must be planned for by ensuring rights to hire or continue use of key contractor employees who have been servicing your account, arrangements to bringing new contractors or internal managers up to speed, and filing of any regulatory or other required notifications. Reputation must be protected by controlling and planning for issuance of public statements and social media postings by terminated contractors or their employees, or the best laid transition plans may be for naught. An effective termination plan starts with, but goes far beyond, the establishment of well thought out contract clauses for various types of third party relationships. To work out a smooth transition, the plan must also include internal change management processes and policies, designated transition team members, contingencies, and adequate resources and time allowances. It really is not unlike a break up of a personal relationship. Not only do you need to define who gets what of the shared assets, you also need to plan for where you will live, how you will continue to operate in your daily life, and what you will say about each other in public. But in the business relationship case, the tension between what’s practical and what’s romantic doesn’t come in to play, so waiting to make your plans until you are in the throes of the relationship “divorce” shouldn’t even be an option. By the way, in our most recent installment of the Third Party Management Illustrated Series, we address this and other issues as they apply in financial services. Want a free copy? You can download one from OCEG here.